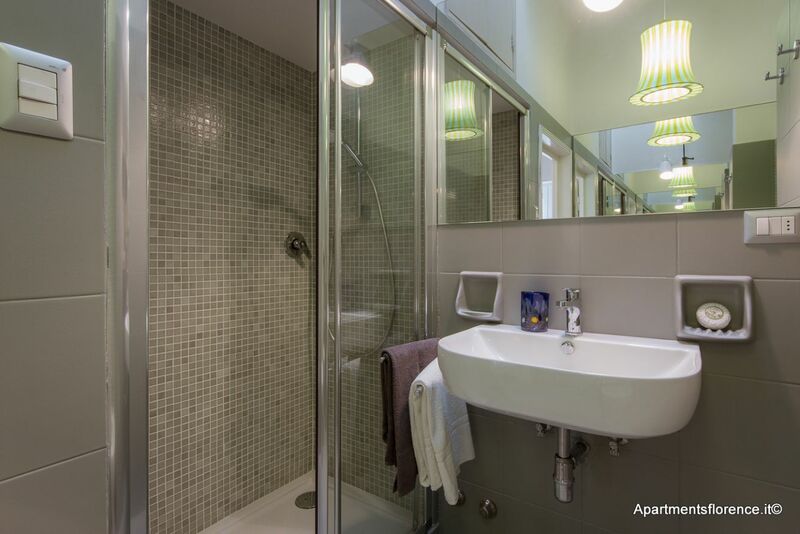 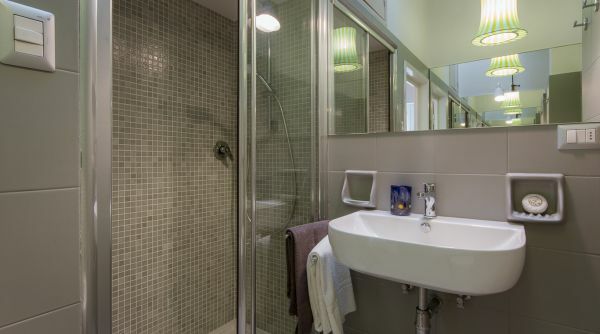 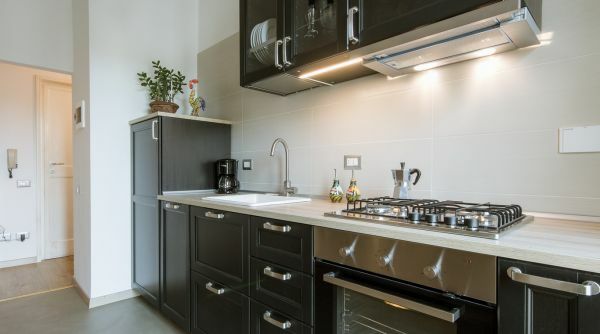 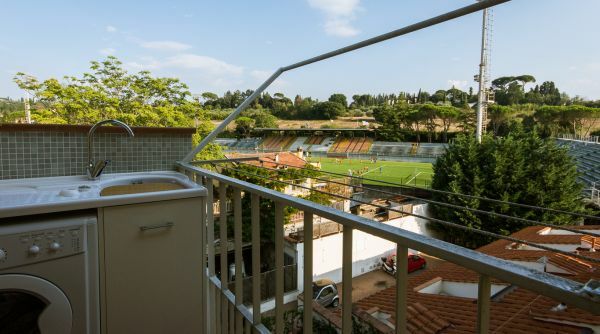 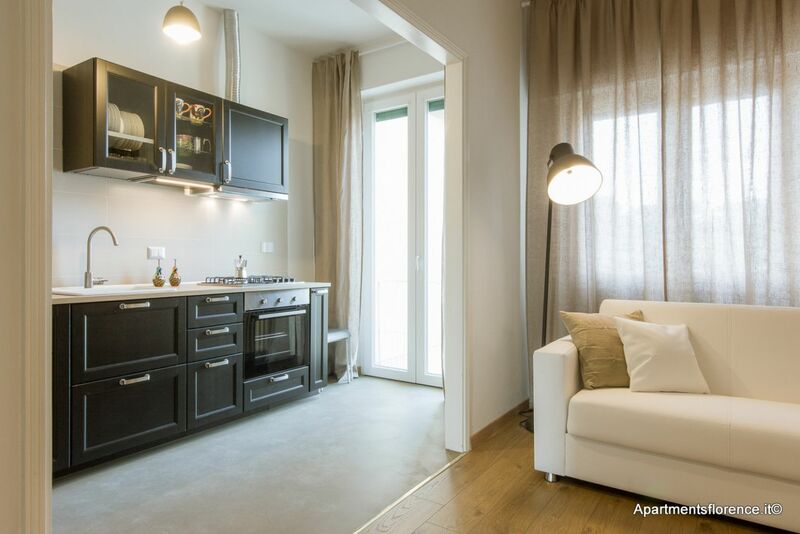 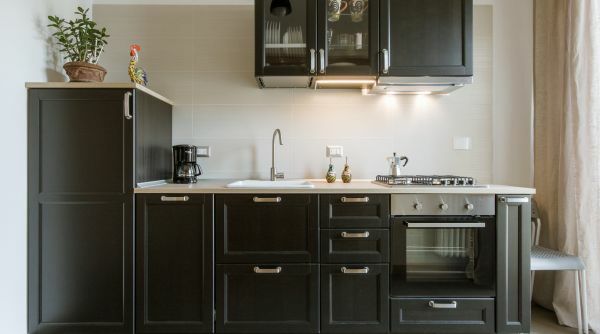 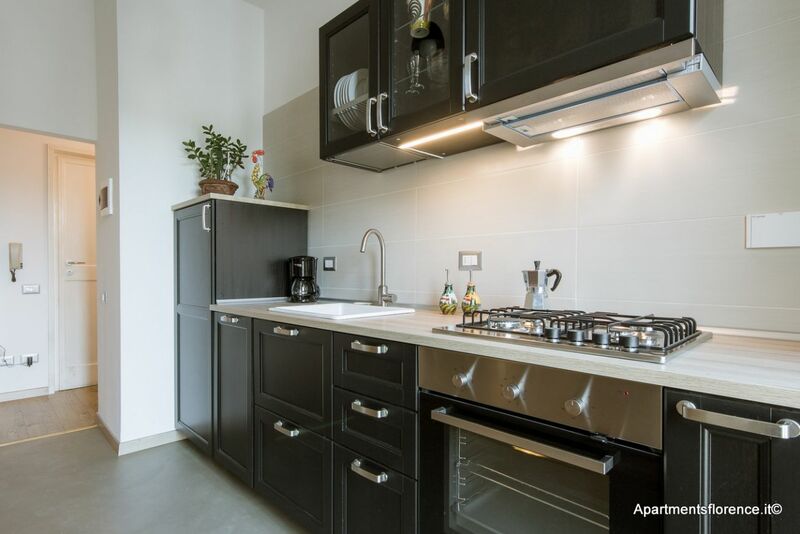 Stylish and comfortable apartment located in prime choice setting, on the hills of Piazzale Michelangelo, minutes away from Florence's city center. 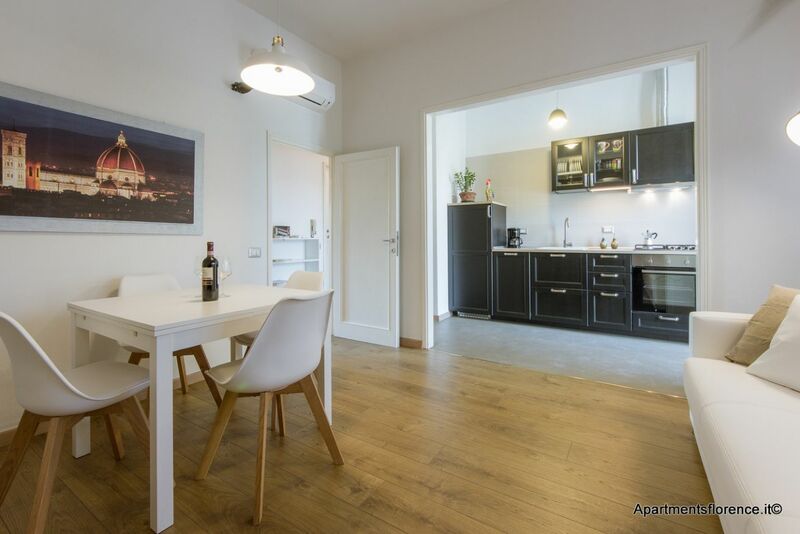 This apartment is located on the third floor up of a residential building set on Via del Gelsomino, a lovely and quiet street on the hills of Florence, just above Piazzale Michelangelo and Arcetri, exclusive residential areas only a few minutes away from the historical city center. 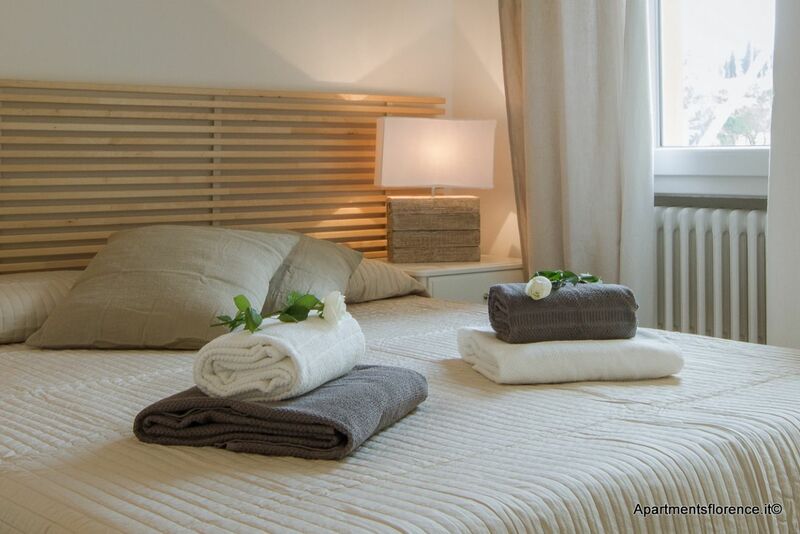 The whole place has been recently renovated and redecorated with great taste and attention to detail and comforts. 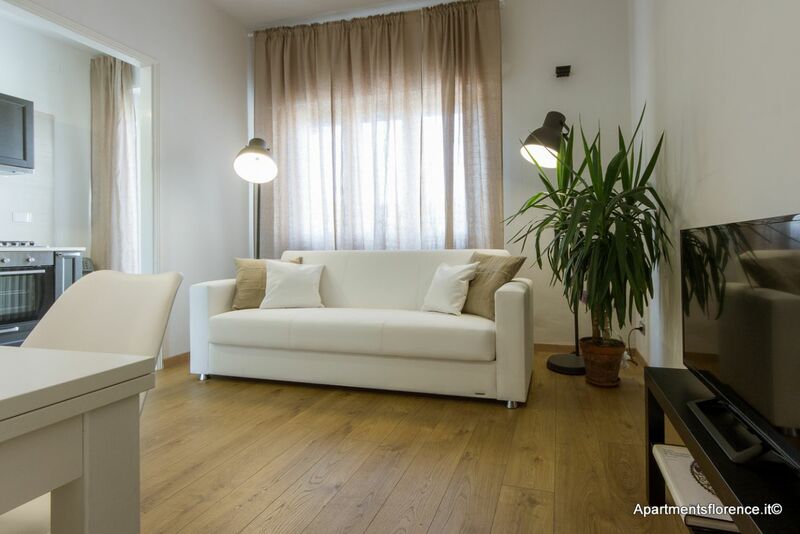 Natural light floods every room thanks to the many bright windows, while the wonderful hard wood floors and the light color palette chosen for the furniture create a welcoming and soothing feeling throughout. 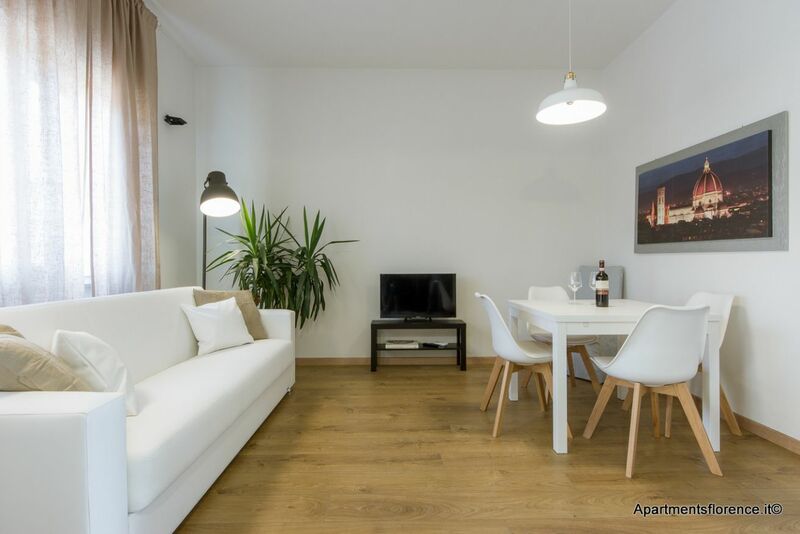 Entering the apartment you'll find the spacious open space living area, consisting of a large lounge area with a comfortable couch, flat screen TV and dining table, while the adjoining kitchen is modern, fully equipped and stocked with anything you may need to cook your own meals. 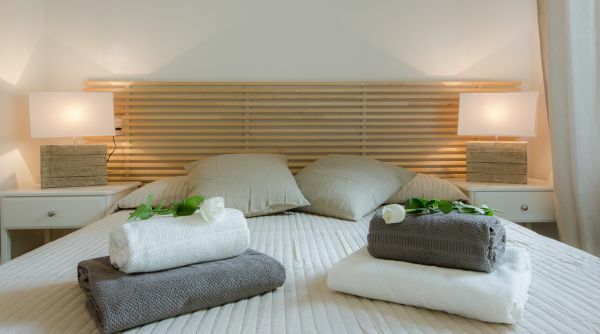 The master bedroom features a comfortable queen size bed, closet and a wonderful en suite bathroom with walk in shower. 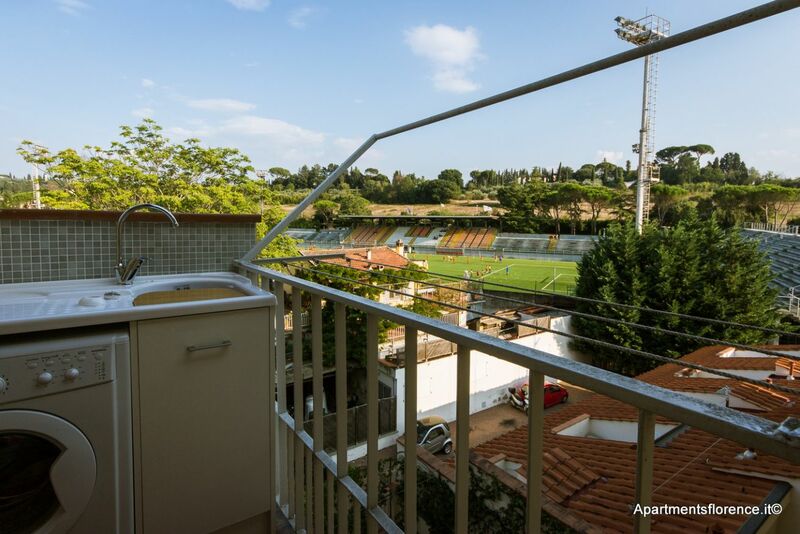 There are also two nice outdoor balconies, where you'll find laundry facilities. 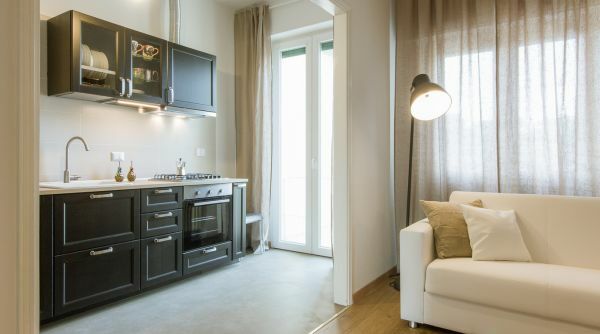 This apartment is the ideal choice for a couple looking for an exclusive and unique location for their stay in Florence: a stunning location, right on Piazzale Michelangelo's hilltop, two minutes away from Florence's most breathtaking view and well connected through bus lines to every other area of the city. 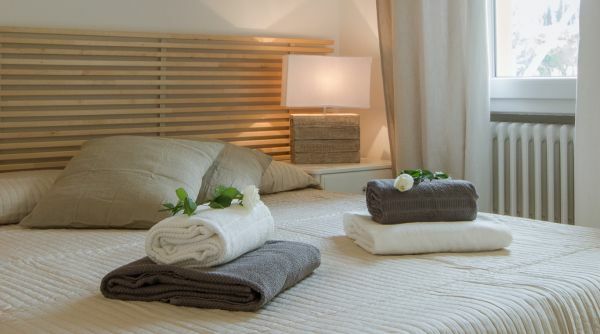 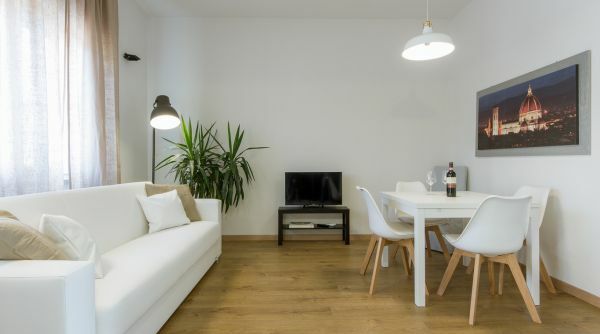 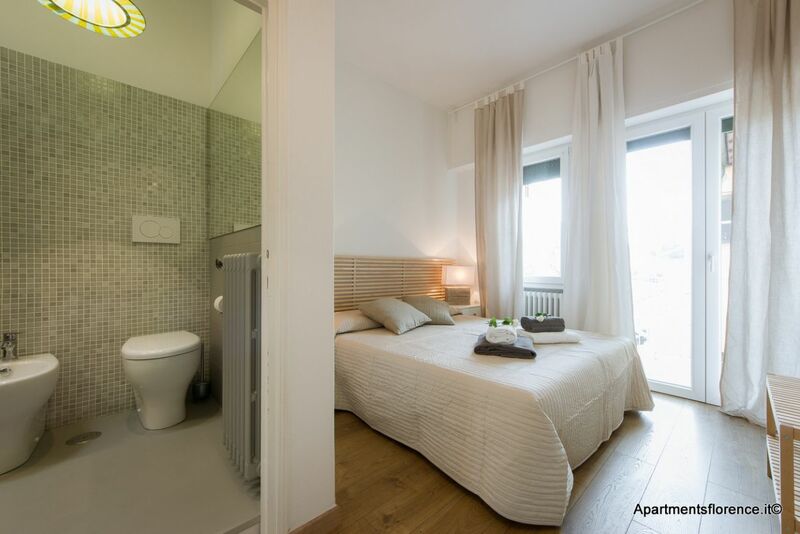 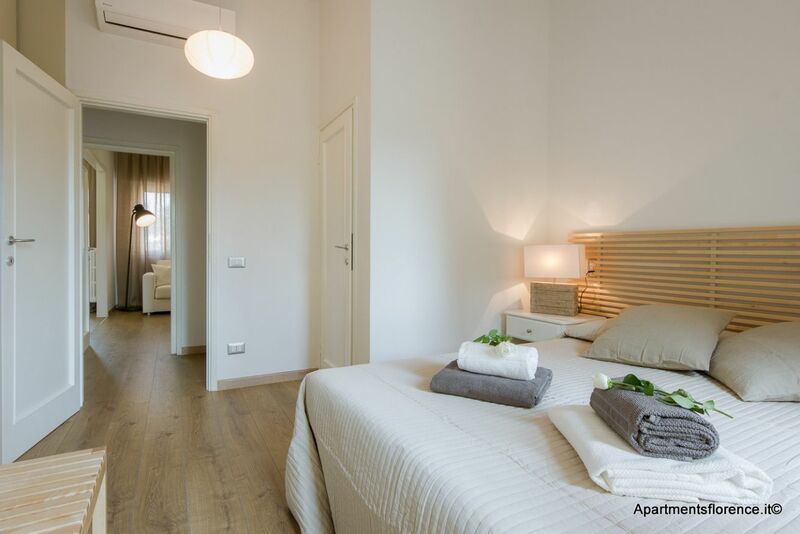 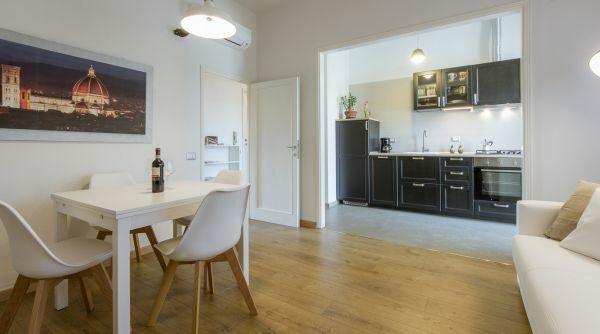 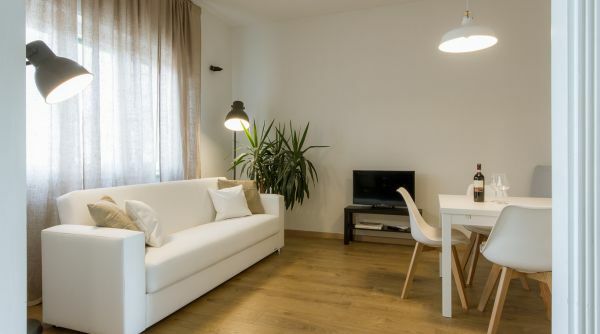 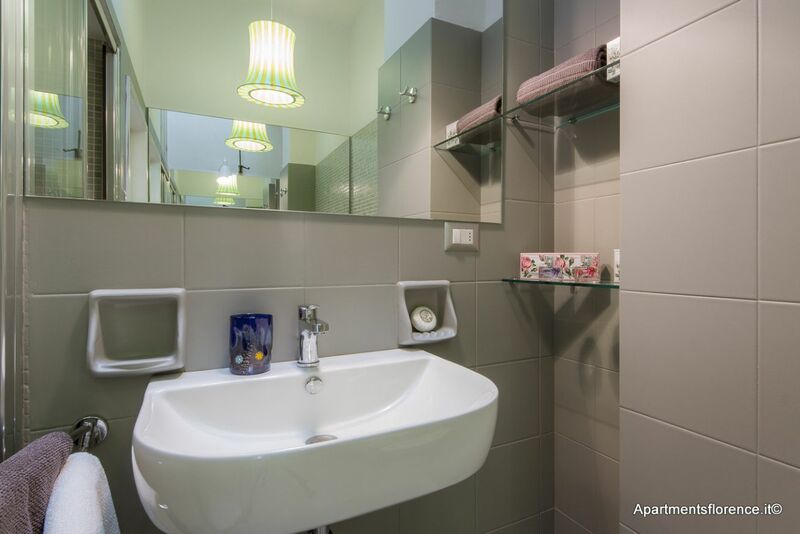 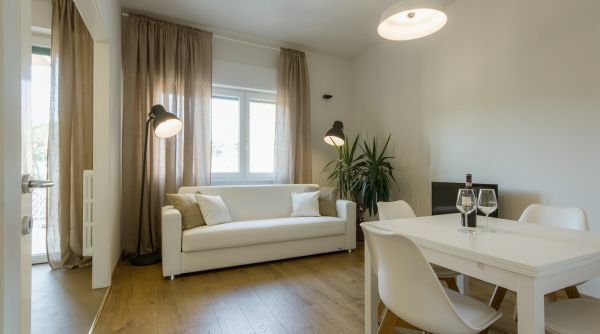 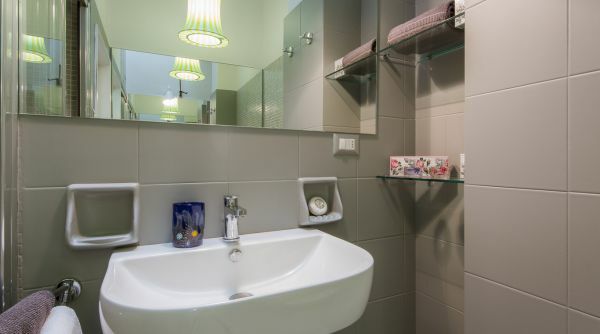 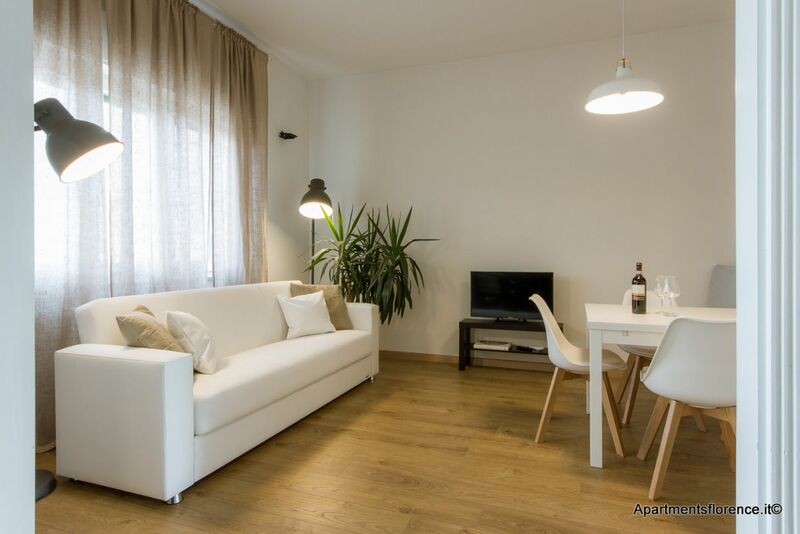 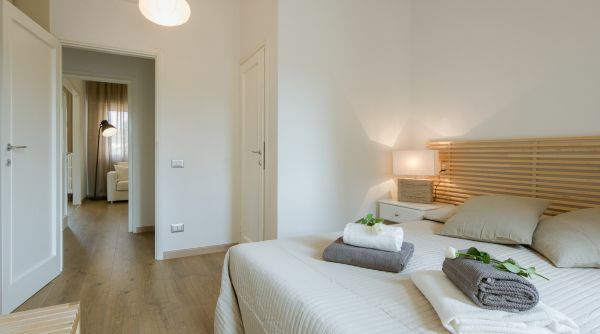 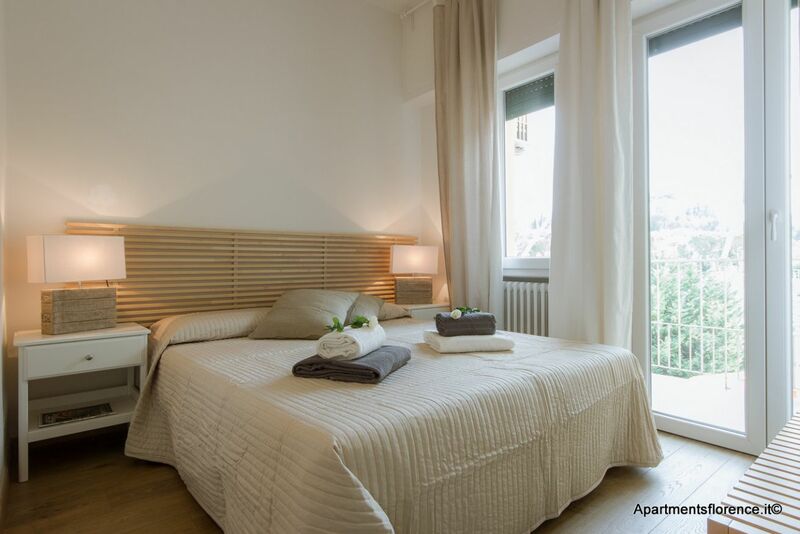 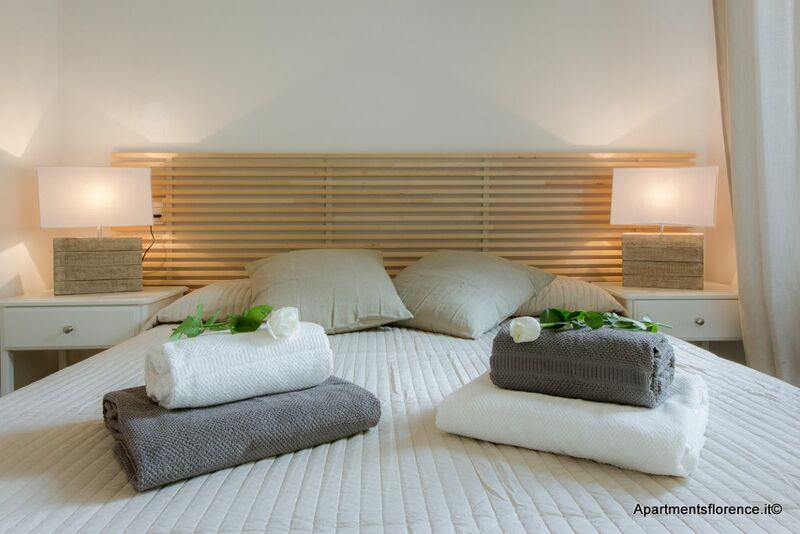 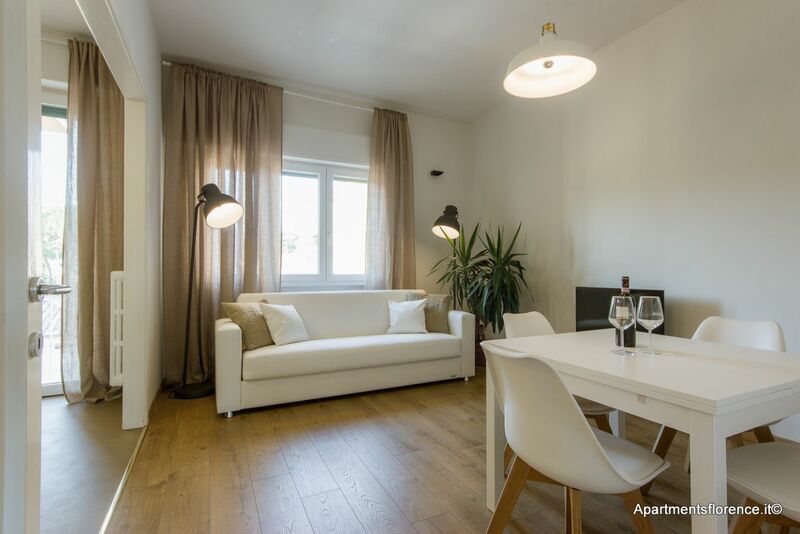 Choosing this apartment you'd get the chance to stay in a quiet and relaxing setting, just outside Florence's downtown, while also being so very close to everything you may need and to all of Florence's historical and artistic landmarks, in a quiet and elegant neighborhood. 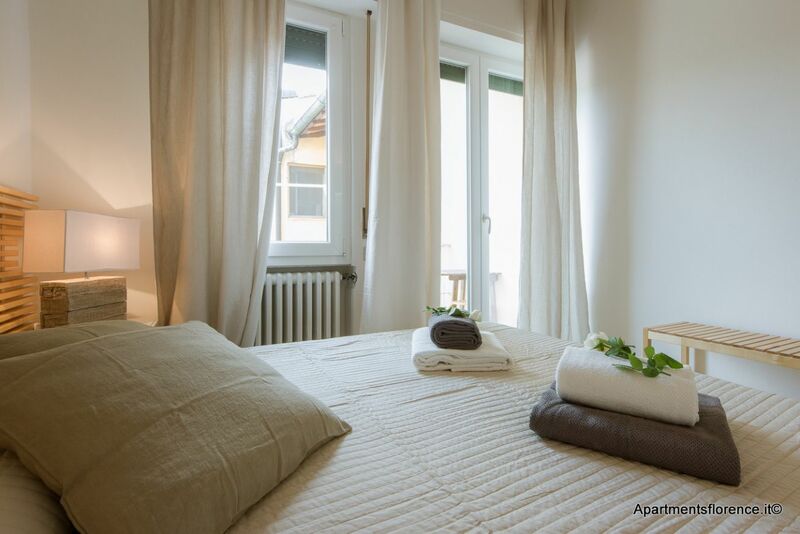 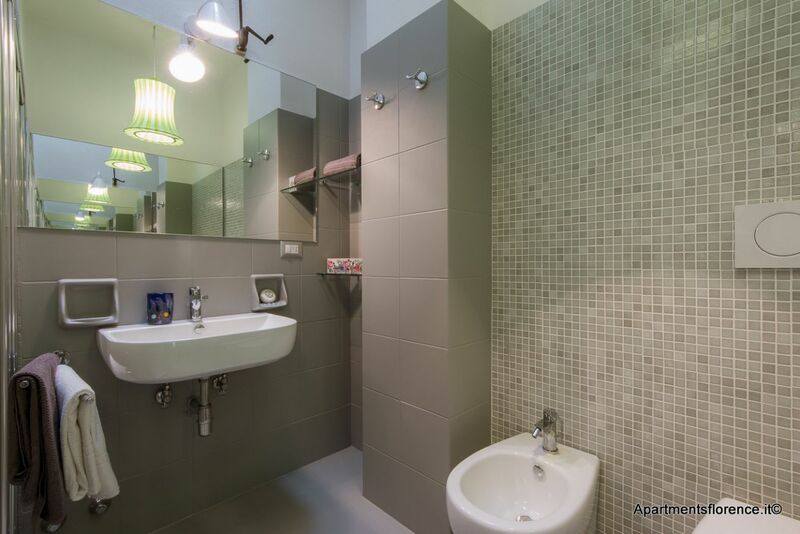 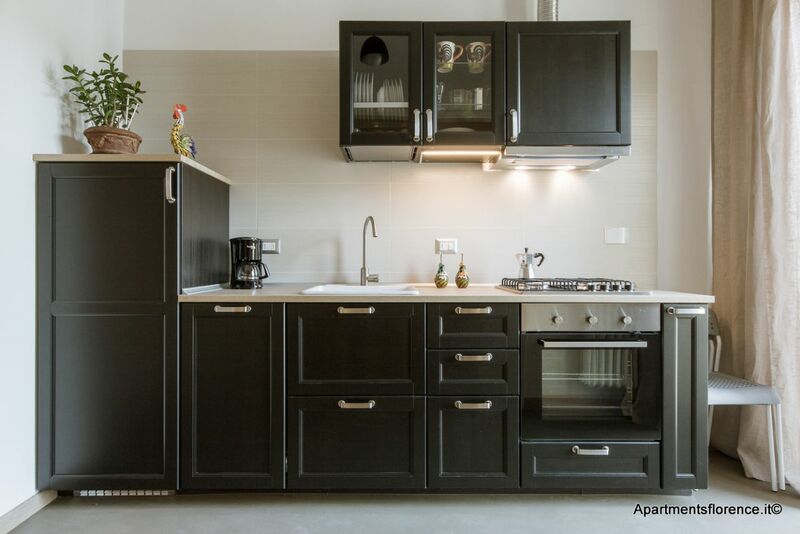 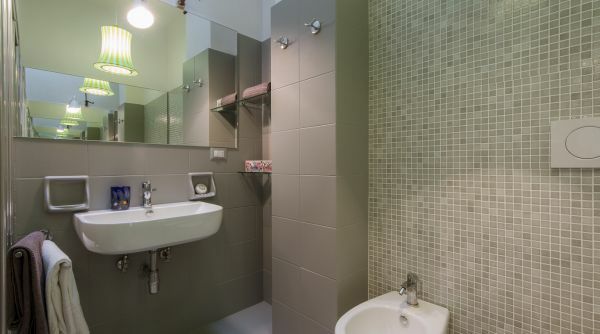 This property in Florence is managed directly by the apartment's owner, who will take care of check in/check out procedure, bed linens, cleaning service, assistance and maintenance.